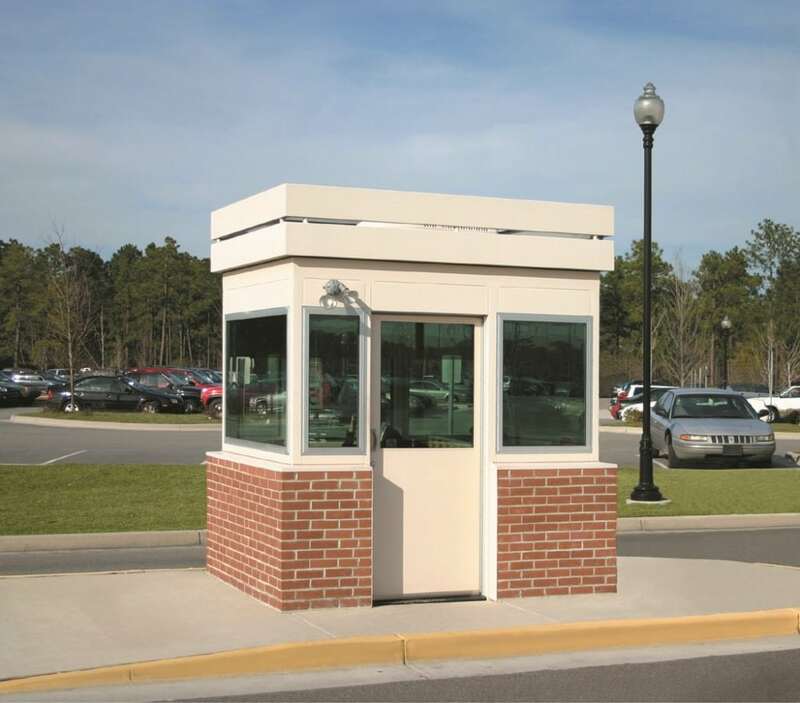 6′ x 8′ PAR-KUT brand booth with green tinted glass and site applied brick to blend in with surroundings. Roof top a/c unit concealed by double band fascia. Two sliding doors perfect for centering between inbound & outbound traffic. Guard house includes prep for phone & data connections. Factory installed flood lights for night time operations.